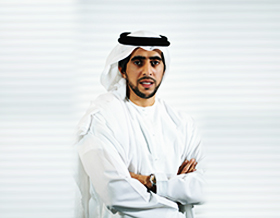 Khalifa Butti Bin Omeir, is the founder and Chairman of KBBO Group. Proclaimed as a leading investment group with a diverse portfolio of interests operating in the UAE and spanning across the MENA, European, and U.S region. The Group’s investment portfolio and operational verticals include leading companies in the field of healthcare, education, retail, financial services and technology, amongst others. Khalifa Butti, is a recognised UAE business leader with over 15 years of experience in entrepreneurship and financial investments. He began his career at the Abu Dhabi National Oil Company (ADNOC), where he gained extensive experience in the field of finance. Furthermore, in 2006, as the co-founder of Brokerage House Securities LLC, he was appointed Chairman & CEO. He later went on to found, One Financial Markets, an FCA-regulated brokerage firm with operations in the UK, China and the MENA region.